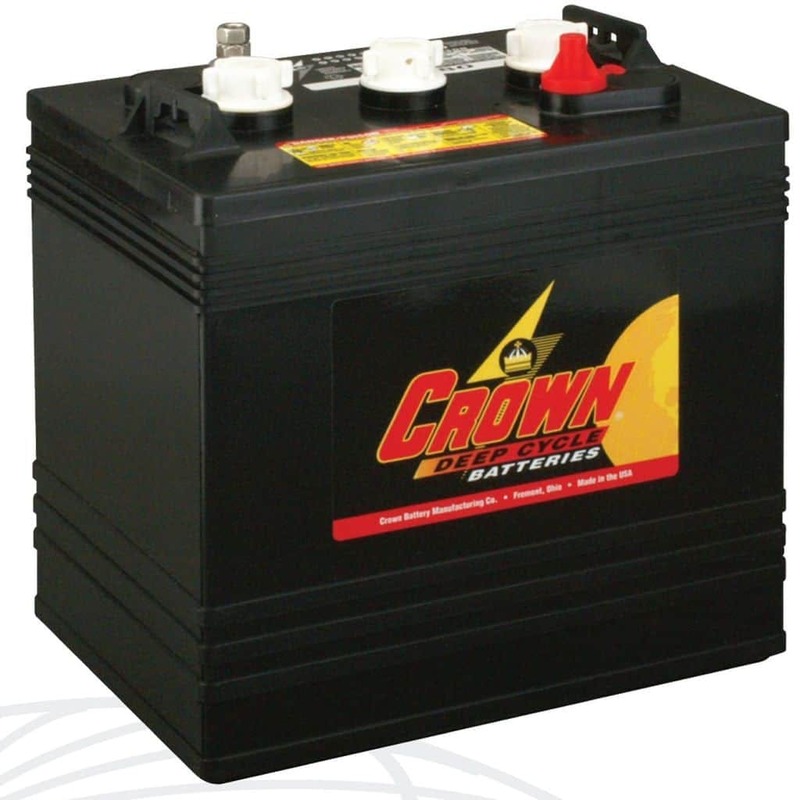 Originally designed for use in Golf Carts where a long service life over countless charge and discharge cycles is required, the Crown CR220 deep cycle battery lends itself perfectly for use in renewable energy applications. Rated at 6 volts and 220Ah, the Crown CR220 offers superior construction at an entry-level price. Unique maintenace features - Crown's proprietary PROeye indicator lets you monitor battery water lavels at-a-glance. Terminal options - All Crown deep cycle batteries include post and screw terminals to accomodate your preferred type of connection. 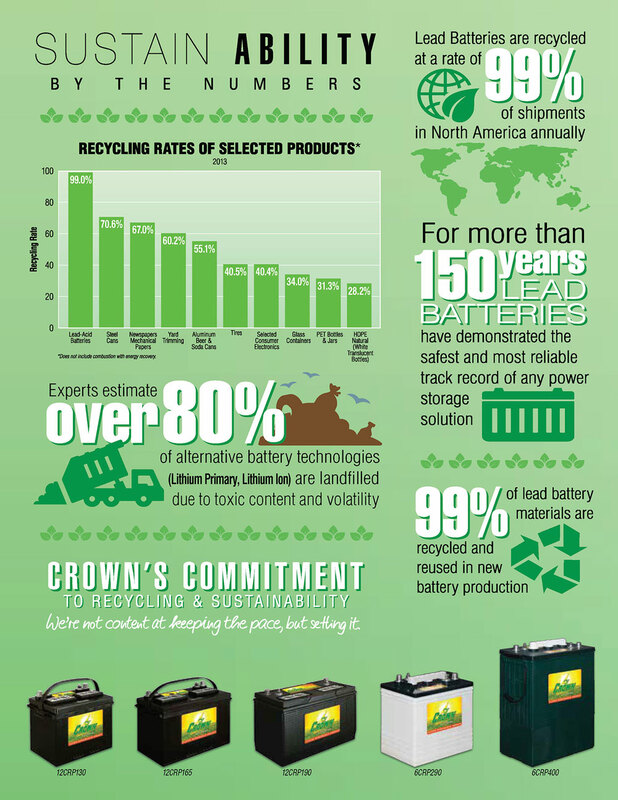 Made in USA - Crown CR220 batteries are made in America to exacting specifications in state-of-the-arc facilities.